"Gerry Davis is the home plate umpire. 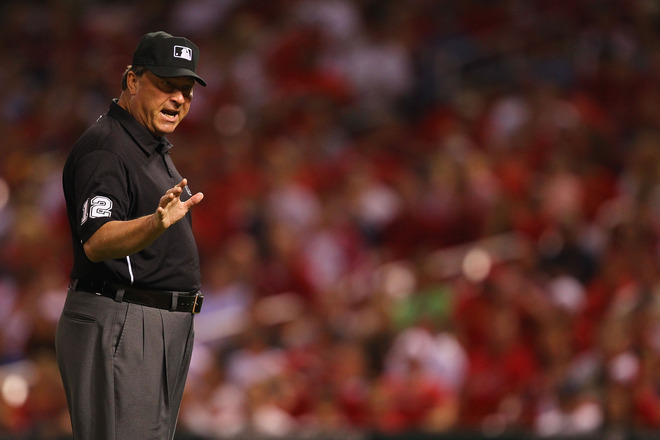 In his career, Sabathia is 6-0 with a 2.19 ERA when Davis is the home plate ump." Well, that is interesting and all, but what does it even mean? Sabathia is clearly a very good pitcher, but does a 2.19 ERA with a certain umpire behind the plate tell us anything, when an entire season's worth of ERA can be misleading? By those numbers, one would say that CC Sabathia had a better season. What were their ERA's this year? To get more to the point, here a perspective on what Buster Olney was trying to illuminate. Let's give Gerry Davis a chance before quoting stats. Again, what does this tell us? I don't think much, except that it's almost pointless to discuss such small sample sizes. I'd expect the cumulative statistics of the batters they face tonight will be closer to their career numbers than their past experiences with Gerry Davis. 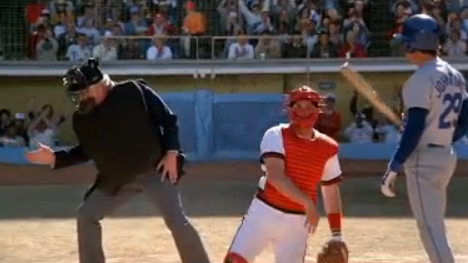 In fact, I'd expect future results to be closer to their career numbers if anyone shy of Enrico Pallazzo was behind the plate. Enrico Pallazzo, on the other hand, played to the crowd.